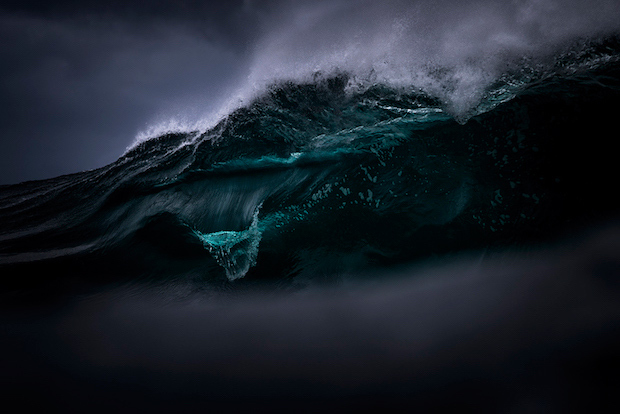 Australian photographer Ray Collins stumbled into his career as an ocean photographer almost by accident. 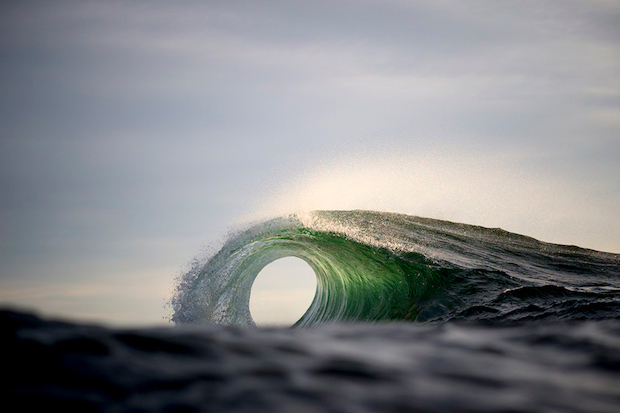 Eight years ago, while working as a coal miner, he and some surfer friends ventured out to the beach to take photos. 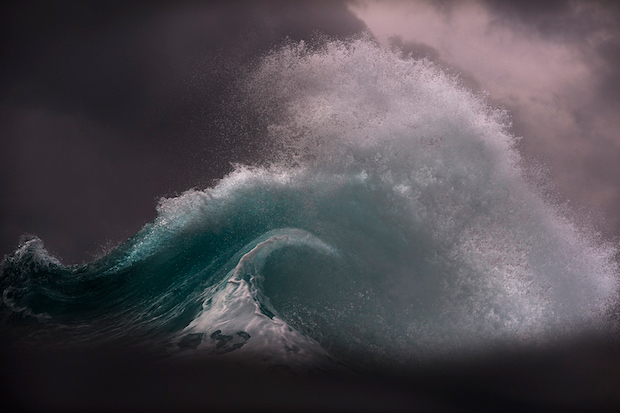 He began taking images of the ocean, seascapes and surfers in his spare time. 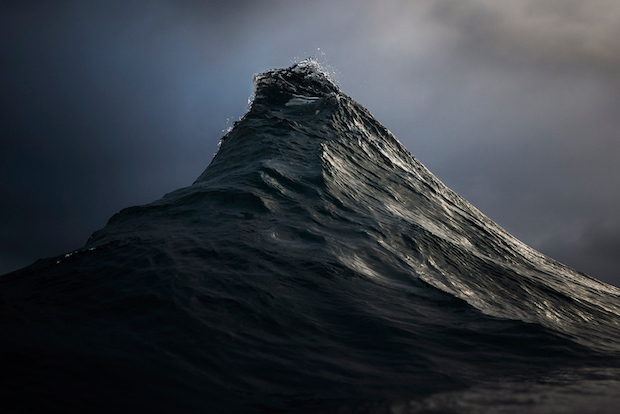 A later knee injury led him to take up ocean photography full time. 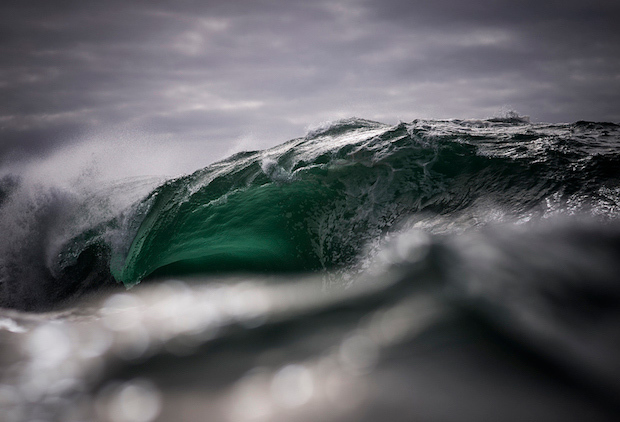 He has since found his passion, and returns to the beach every morning before dawn to capture the breaking waves for his series, and recently published book, Found at Sea. 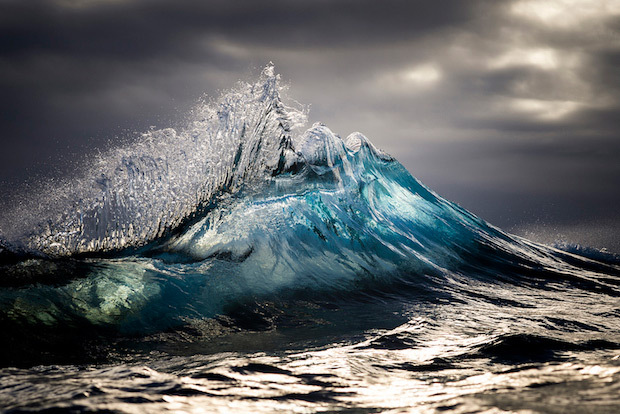 The waves are frozen in time, captured at that elusive and highly anticipated moment before the breaking point. 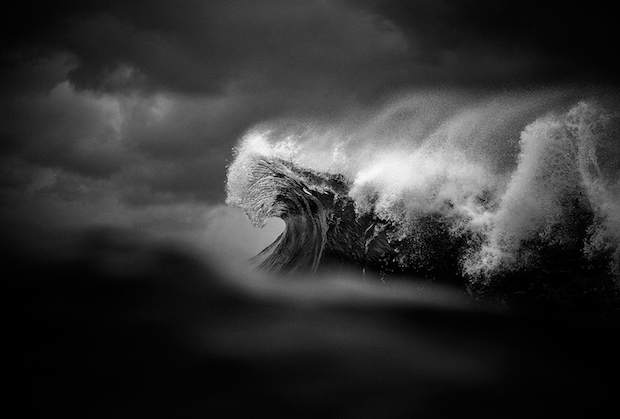 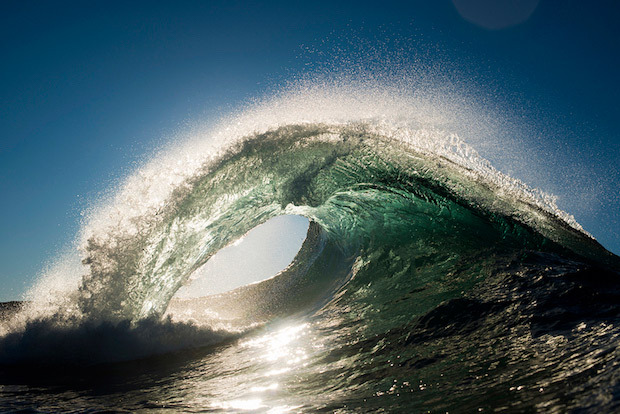 With each image Collins creates a new perspective of the power and energy of the ocean. 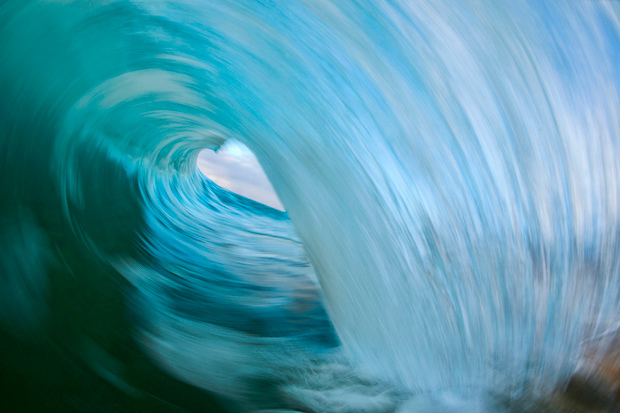 In such an uncontrolled environment, persistence and patience is crucial. 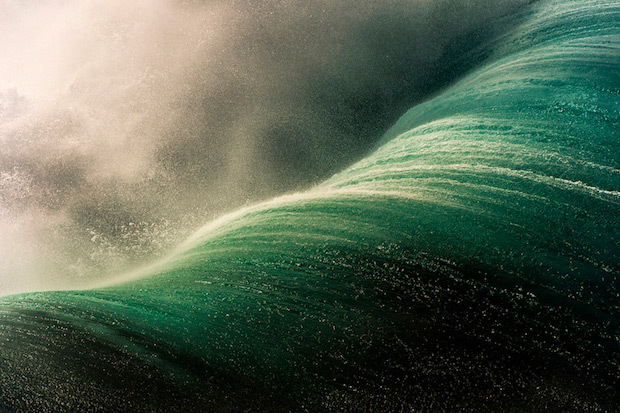 In the way he captures light and the rich blue and green jewel tones that it creates in the water, you’d never guess that Collins is color blind.